After recently sharing a post which was entitled The Value in Sharing in ITSM, I started gathering feedback on the subject which, in keeping with the theme, I will share. The post was part of a larger sharing exercise for me where I was also presenting on the subject at a local itSMF breakfast event. Much like in the post, my presentation took the audience through my beginnings as well as what I learned along the way. I also shared with them some links to great content to check out on their own (which I have added to the bottom) I did point out that these are some of the places I started out with and by no means are a summation of all the places I go to for that collaborative spirit. I am glad you are doing it…. In the “why” category people were most often interested in why I would do this at all. In some cases a few people commented that there is loads of information out there so why do I feel the need to add to content that is already there? I have always maintained that I enjoy the other content I consume, however for me, I find that I simply learn better when I start to take pen to paper as it were. In some cases this is a selfish activity of self-discovery for me. the other reason I like to share my thoughts is so that they can be challenged and I am able to learn from others as I gain insight into other viewpoints from other lines of business and cultural backgrounds where i might not otherwise have the opportunity. There were also quite a few people who ask “how”. Who has the time to do this in the first place? Don’t you have a job and family commitments ect? 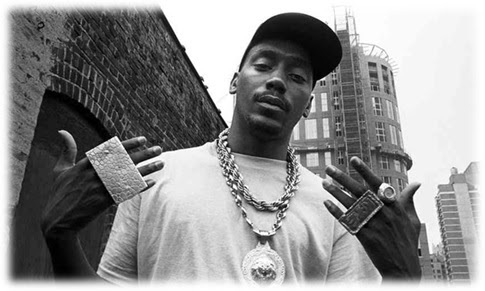 The answer is yes, of course, although anything worth doing isn’t always easy, just ask Big Daddy Kane. My ability to "do" this is an exercise in time management. I set out with a realistic goal to post regularly and use time which I was normally spending on going back and forth to work on the public transit staring out the window to capture some thoughts. There were also some people that appreciated that I was sharing information with them. Not just my content but the content of others. For me this is the most important part. There are so many great places for information and there are more every day. Here are some places to check out, certainly a start and not a complete list. Feel free to share a list with me as well.